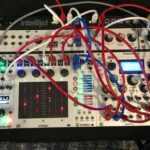 Analogue Solutions Impulse Command is a new desktop semi-modular synthesizer with an incredibly intuitive layout and huge sound. 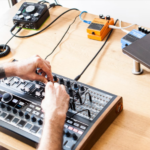 The thing that sets the Analogue Solutions Impulse Command apart from a variety of existing desktop semi-modular synths, is most of them are designed to be used standalone as well as made to fit into the Eurorack standard. 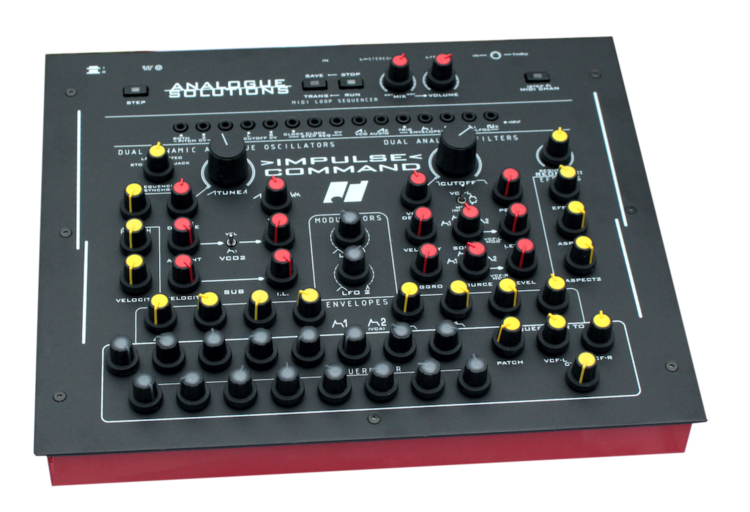 This usually presents a rather cramped layout; however, the Analogue Solutions Impulse Command is different in that its designed solely for use as a desktop synth, it can hook up to a modular system, however the layout is not confined to a minute form-factor – giving the designers the freedom to create an intuitive and playable front-panel. The Oscillator Tune and Filter Cutoff knobs are huge, and thoughtfully placed front-and-centre of the panel, the rest of the parameters are cleverly colour-coded to make navigation a breeze. 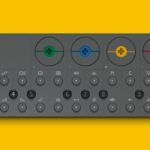 The Analogue Solutions Impulse Command has done away with the traditional keyboard, in favour of a 16-step sequencer with LED backlit knobs. 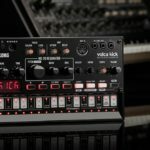 There’s a variety of modular patch-points along the top of the synth, out of the way of being knocked while playing and offering enough ins and outs to patch into almost anywhere in the signal path. 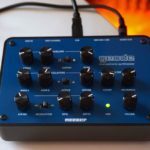 The Impulse Command features a full analogue audio and modulation signal path, a dual 24dB Low-Pass filter section, two assignable LFOs and two envelopes each with Attack, Decay, Sustain and Release control. You can also send the sequencer to the filter to modulate the cutoff. It features stereo digital reverb and delay at the output and MIDI I/O for hooking it up with other synths. And of course, the modular patch-points make it a great desktop companion for modular synth setups. The Analogue Solutions Impulse Command retails at USD $1199 (Around R22,5k excl. duties), for more information check out the Analogue Solution website here.